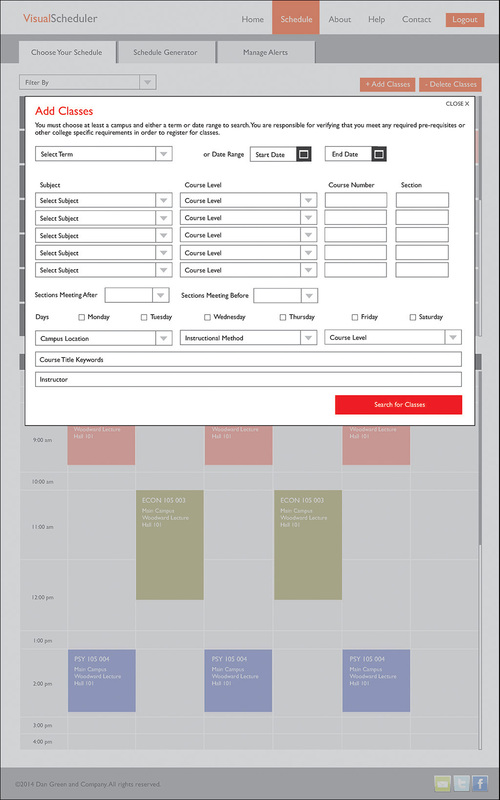 I was contracted to help with an interface design for a programming student who is trying to develop an easier way for students to schedule classes. 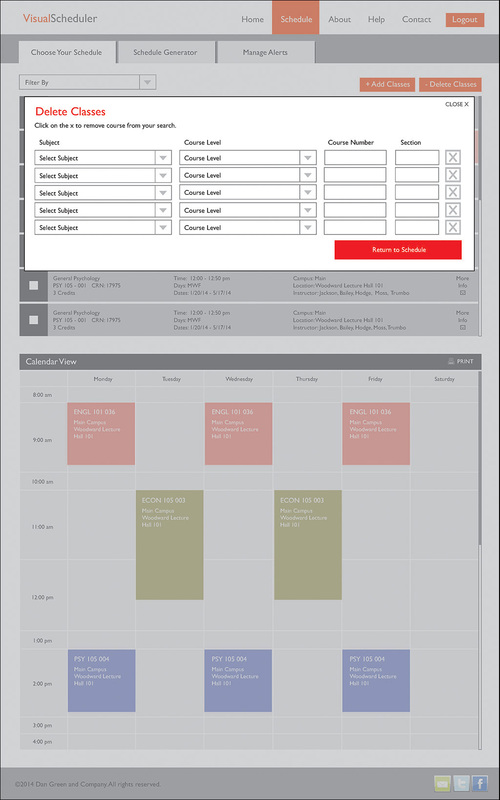 My job was to provide layouts that showed how the pages on the web would look as well as how the various interfaces for the scheduling software part would look. 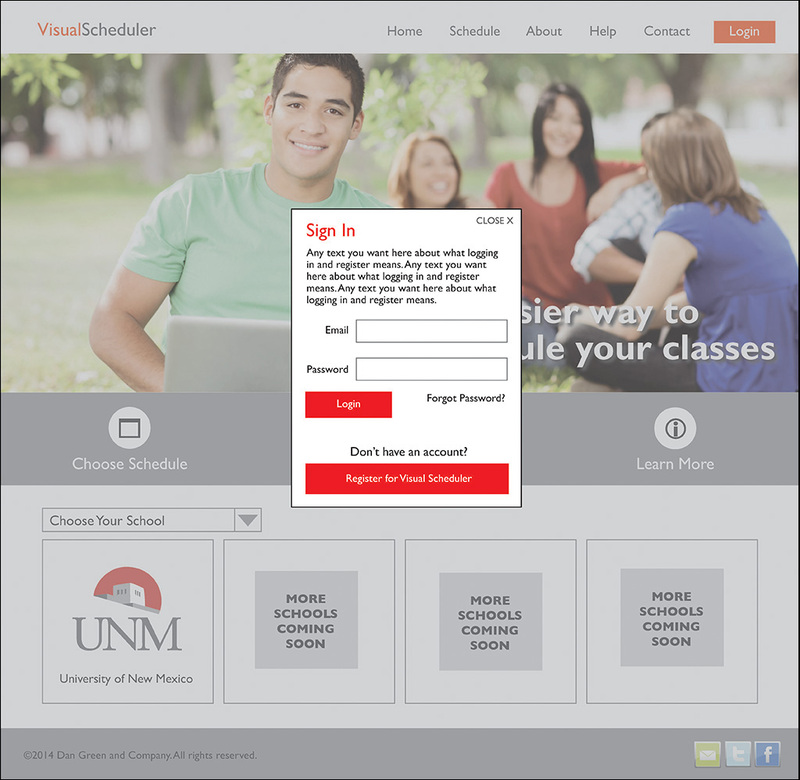 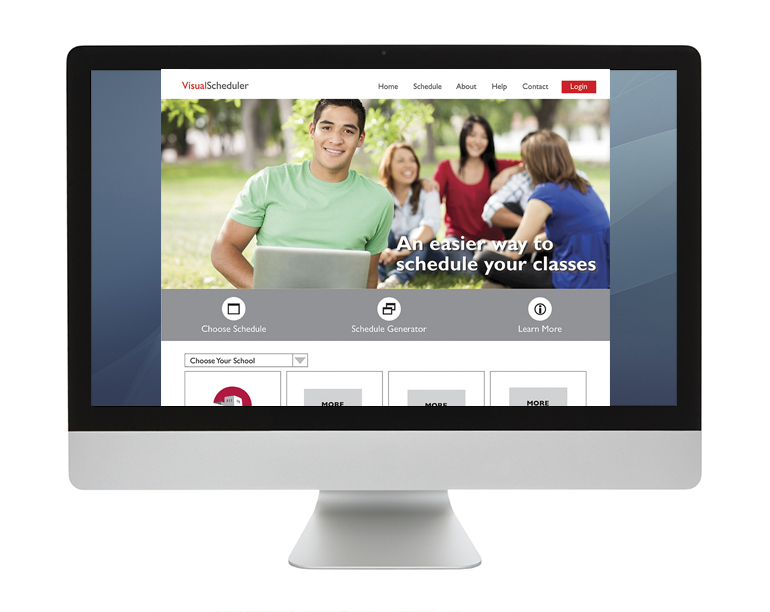 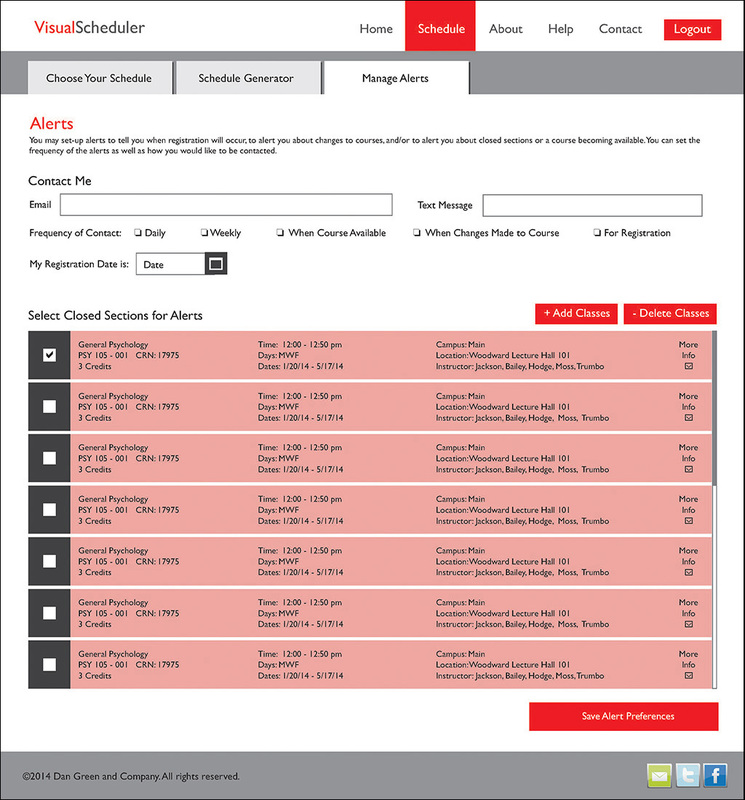 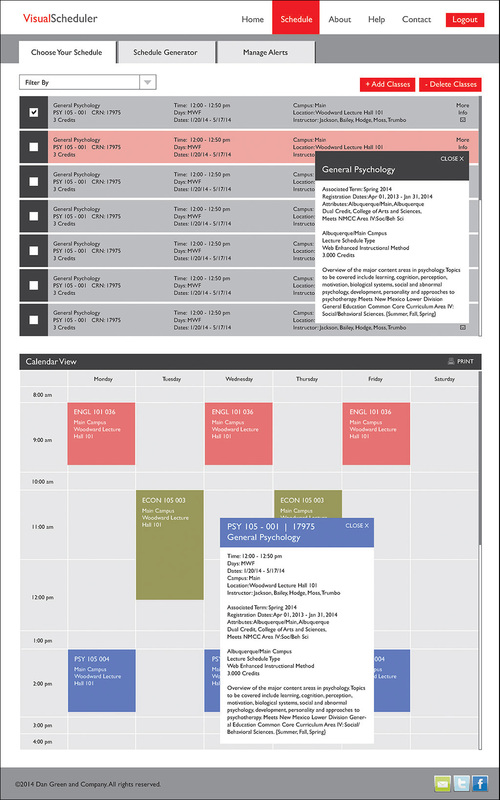 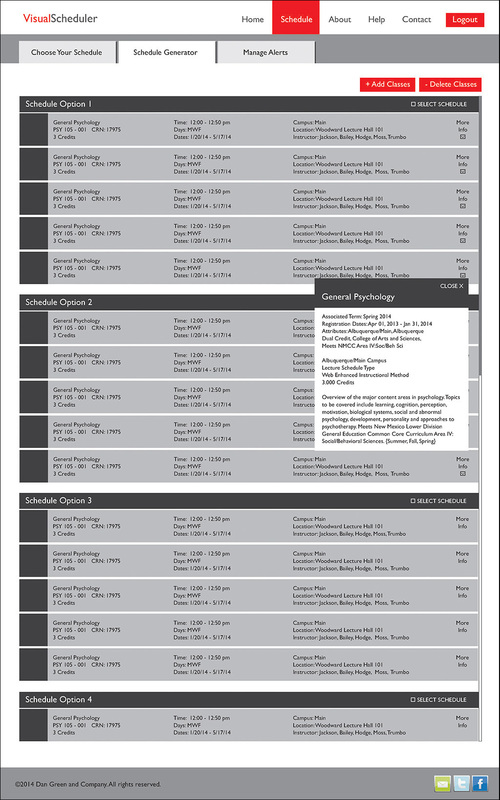 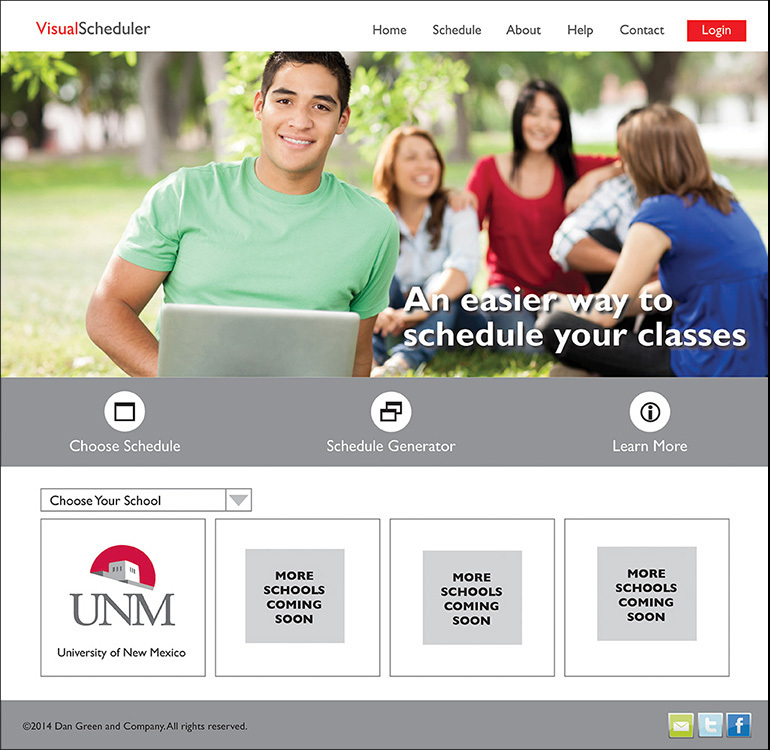 The goal was to make interfaces that would make it easy for students to understand what courses were available, see their choices on an actual calendar, and display proposed schedule options if the student chose that route. 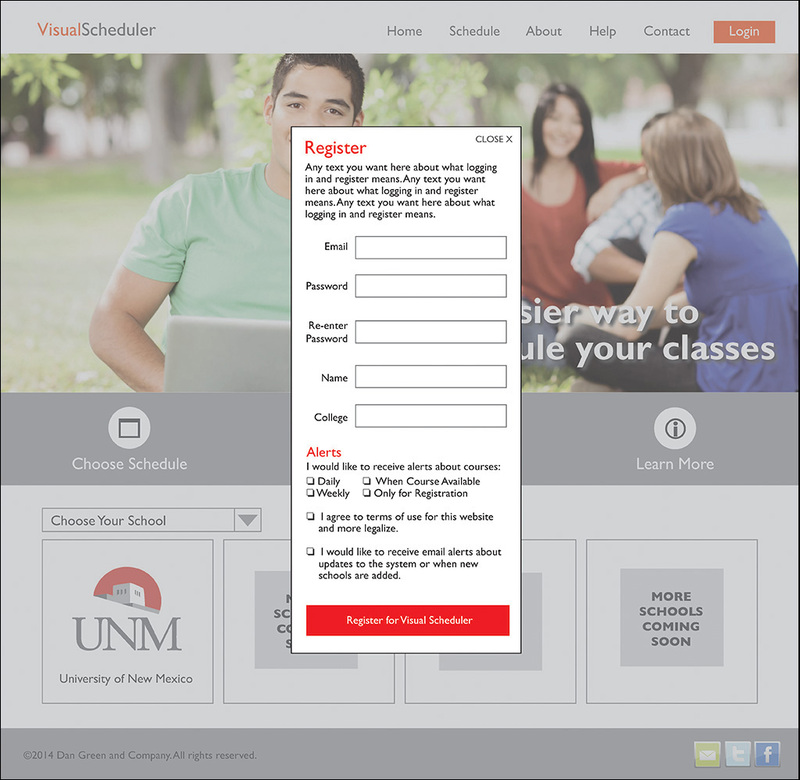 The programmer then took the designs to create his materials.